The Clarion Collection Hotel Helma in central Mo i Rana has a lovely homely atmosphere within easy reach of the city's main attractions. All our guests can enjoy a buffet breakfast, our Afternoon Sweets and an evening meal as part of the room rate. We hope to see you soon at the Clarion Collection Hotel Helma, in the heart of Mo i Rana. You'll stay in an intimate setting with the theatre, cinema and shopping centre on your doorstep. 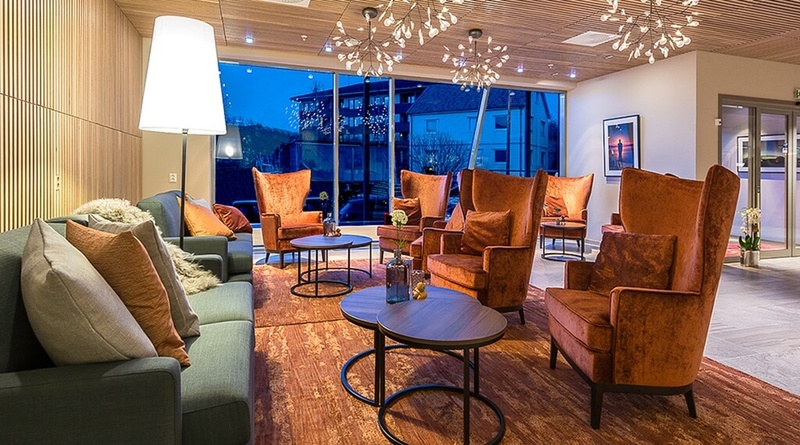 You'll find this hotel in the centre of Mo i Rana, within walking distance of both shopping and the city's cultural attractions such as theatre and cinema. There are excellent opportunities for walking and jogging in the beautiful natural surroundings. If you bring your car, you can get to either the mountains or the sea in just 30 minutes. We serve a delicious buffet breakfast every morning and this is of course included in the price of your room. All our guests can also enjoy our daily Afternoon Sweets, as well as our Evening Meal featuring hot and cold food. Read more about this under Services. We have a meeting room for up to 100 people. The meeting facilities can be used as they are or divided in two, with one side holding 60 people and the other side 40 people. Our facilities are wheelchair-friendly and we have 11 specially configured rooms for disabled guests. Contact us for more information. The shuttle bus from the airport stops right next to the hotel.